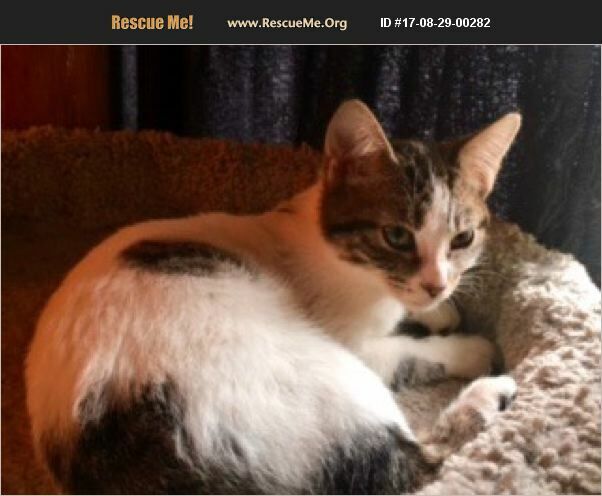 Texas Turkish Van Rescue View other Turkish Vans for adoption. My name is Anna, and I am a true love bug disguised as a white-and-gray-tabby Turkish Van DSH mix. Don't you just love my cute little cherub face and the single polka dot on my back? Because I'm mostly white with splashes of gray tabby on my ears, face, back, and tail, I am considered a Turkish Van mix. In fact, that spot on my back is supposed to be the thumbprint of God! My siblings Allie, Alfie, Amos, and I were born in April 2017 to a feral mom, and the shelter released us to our future Buster's Friends' foster mom after we were weaned. I am extremely well socialized and very friendly as well as outgoing. I get along with other kitties, small dogs - everyone! I would be perfect for a family with kids too. I'm available individually, but if you are in the market for a pair of siblings, please consider adopting either Allie, Alfie, or Amos along with me. Two is more fun than one, and we can always keep each other company while you're at work or on vacation. No matter what, don't waste any time in making arrangements to meet me. I'd love for you to experience my sweet, angelic, love-bug self! Anna is updated on shots, spayed, dewormed, microchipped, FIV/ FeLV negative, and ready for her indoor-only home. No de-clawing permitted. Her adoption fee is $125 for kittens 9 months old and younger, cash or check payable to Buster's Friends. Please click the contact button if you are interested in Anna, and we can let you know exactly where you can meet her. To make the process more efficient, download the adoption application at http://www.bustersfriends.org/catadoptionapplication.shtml. First save and then open it; then you can print it and fill it out.